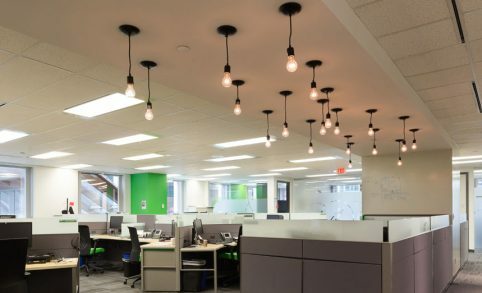 At TruSpace, we are changing the way office build is done, not only in Calgary but throughout Canada. We offer a streamlined office design approach, combining the expertise of an interior designer, project manager and construction team into one organization, ensuring you get to avoid the headaches and stress of having to deal with multiple contractors and all the uncertainties that can result from that. This start-to-finish office design solution is the simplest and most efficient way to complete your office build project. Our in-house team of professionals have 30+ years of office build experience, so you can rest easy knowing we will stay within your ideal timelines and budget. 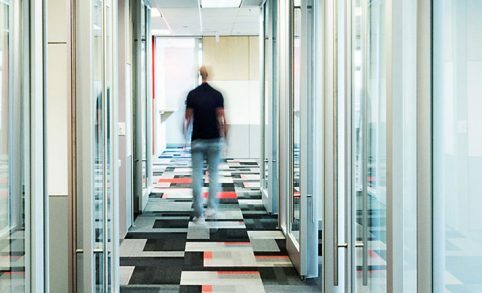 We believe that every business is unique, and requires a unique workspace that fits its needs. 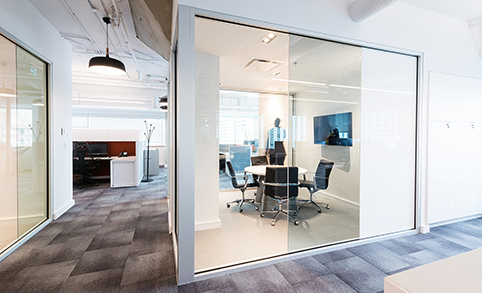 We never take one-size fits all approach when we are developing office designs. We take the time to truly understand the needs of your company and how you are utilizing your current space and then work together, sharing and discussing ideas on how it can be improved upon. Once we have a real understanding of your business and how you are using your current space we will work closely with you to design a concept that will not only suit your company’s immediate needs but also addresses your company’s future needs. Our team of expert interior designers will select the finishing touches that will bring your space together. Complementary colours, textures, fabrics, finishes and decorative touches are chosen with your preferences and price point in mind. We also plan out where each of these elements will exist in your office to ensure optimal use of space. Once we have your approval on the design concept, we create a digital rendering of your new office space so you can undertake a virtual tour of your company’s future space and become familiar with it before construction. All the design and conceptual work completed up to this point gets turned into detailed technical drawings that our project team then uses to bring your bespoke office to life. Our unique design build process ensures we take care of everything, including construction, installation, furniture and move management, so the whole process goes smoothly from start to finish. At Truspace, we design and build spaces that your business and your people deserve. We understand that different industries have different office requirements. That is why we always take a customized approach when it comes to developing office designs. We believe your business is unique, so it stands to reason that your office space should be too. When you work with us, you get to tap into our 30+ years of modern interior design sensibilities and reap the rewards of our streamlined approach. We become your all in one office design and build solution, becoming your interior designer, project manager and construction team, ensuring that you will avoid the stress and headaches that come from dealing with multiple contractors and the uncertainties that brings with it.